Eric recently posted about changing our deck light; however, he left out some important details. Details like how he first sent ME up the mast. 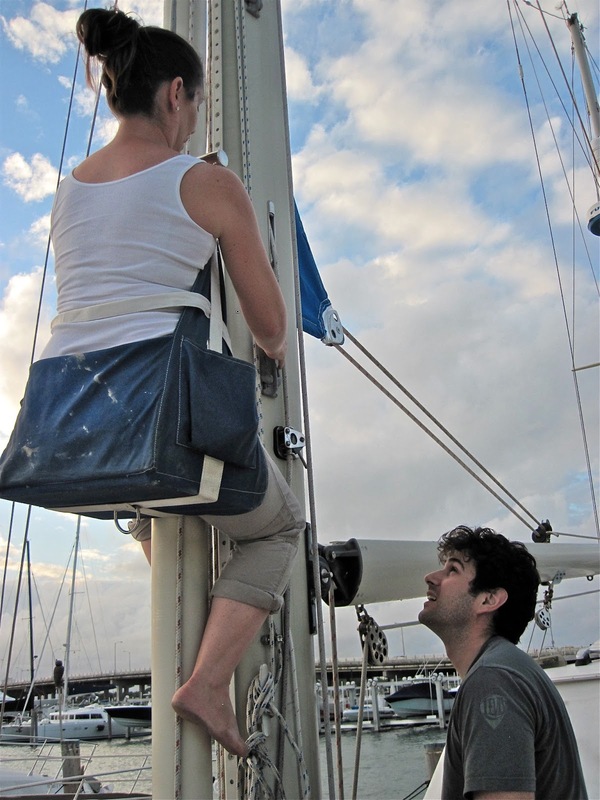 Details like how I didn't have on a safety harness (the thing that secures you to the mast!) because he had forgotten we owned one (he remembered eventually). Details like how I was hoisted at full-speed despite my objections. 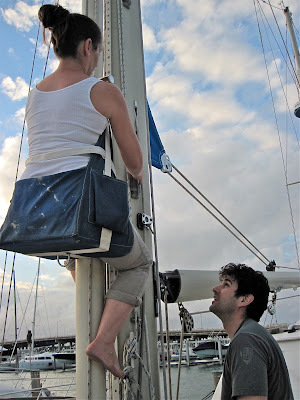 Of course, since Eric is a gentleman, he also left out the tiny detail about how at 30 feet in the air, I chickened out and demand to be lowered at once (although, in my defense, I was falling out of the chair). It is OK though. Ultimately, changing the light bulb proved to be more challenging than we had originally anticipated, and since my handyman skills aren't as refined as Eric's, in the end, he was the better candidate for the job. Now that we have figured out how to change a light bulb (sort of), we are hopeful that our next attempt will be less eventful, and not take over a month to execute. hallo friends your post are very nice About House has an Anchor thanks for share this Sleeve Anchors.